Hello hello. Happy Tuesday! I rarely (ok never) post on Tuesdays, but I haven't been making time for blogging lately. Part of that is because I've been avoiding this post. 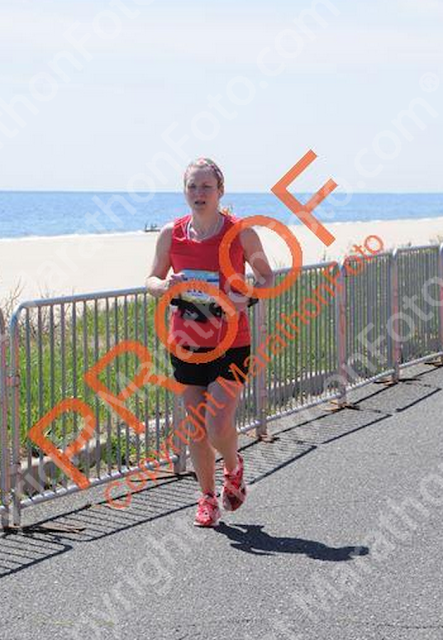 I am usually so super excited to recap a race here on the blog ... but this one ... not so much. 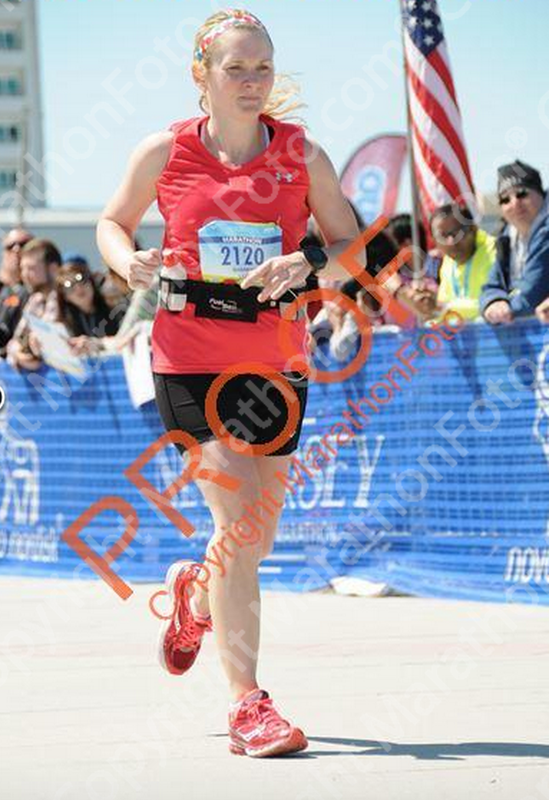 On Sunday April 26, I raced the 2015 Novo Nordisk New Jersey State Marathon. Even though I qualified for Boston back in October at the Steamtown Marathon, I wanted to really "seal the deal" and run a marathon even faster to guarantee I could run at Boston in April 2016. That was the plan going into New Jersey: I would train all Winter and early Spring, get faster, and boom! 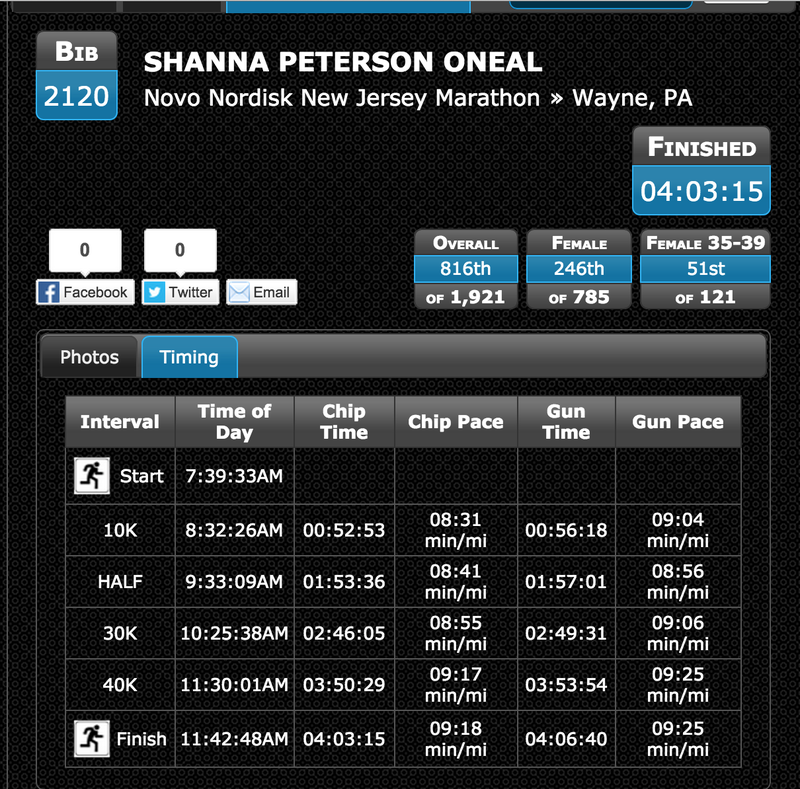 I'd PR and run the marathon around 3:40. Ah ... the best laid plans of mice and men. Needless to say that did not happen. It didn't even come close to happening. It the opposite of happened. And I have a lot to say about it, having had two full weeks to think about it and learn from it. So, I'm going to split this post into two parts: part I - the race recap (which will be replete with photos) and part II - my take-aways. Sit back, grab some coffee and a small delicious treat, because this is gonna go on for awhile. Yeppers. 4:03:15. That's the second slowest stand-alone marathon I've ever done (I don't count IMLP). It's the slowest marathon I've run in years. And it was a freaking battle. I'll get into that in Part II, but man. Oooooooooooof. Oof. My training was totally on track until I got the flu about 3 weeks before the race. That laid me flat on my back and unable to train. My training runs after the flu weren't that great. So going into the race, I was not very confident. Still ... I had put in the hard work and thought I might be able to do it. My race plan was to run the first 3 miles at 8:30 pace and then drop to 8:20-8:25 and hold it for the rest of the race. And then God laughed. My paces steadily get slower and slower with each mile. I held the pace. I felt really good. I did a systems check at mile 3 and thought to myself, "OK ... you can push a little faster." So I did. These miles were great. I remember running over a little bridge around mile 6-7 and I felt all gazelle like and powerful and happy and strong. Yah. I was starting to feel it a little. I convinced myself I would just slow a wee bit and then make it up at the end. Once I hit mile 11, I started questioning this wisdom and was really tempted to bag the marathon and just finish at the half. I am usually feeling so super strong at miles 12-13. Not so much here. 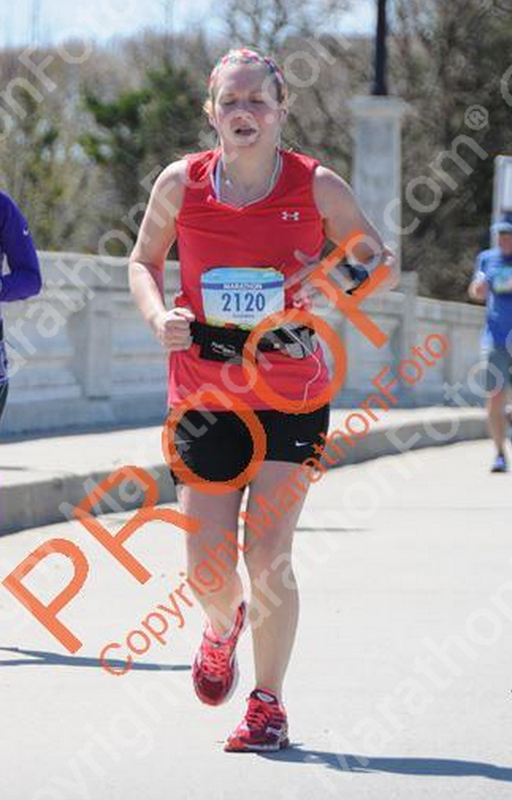 I just kept thinking how I still had to run another half marathon. Not the right mindset. No way. And these were the last miles where I'd see an 8 as the first digit in my time. I don't remember much about these miles to be honest. I know I was miserable. I was tired. My legs were tired. I told myself I could walk through any water station that was around and tried very hard not to walk otherwise. I also allowed myself to walk for as long as I wanted through the aid station. 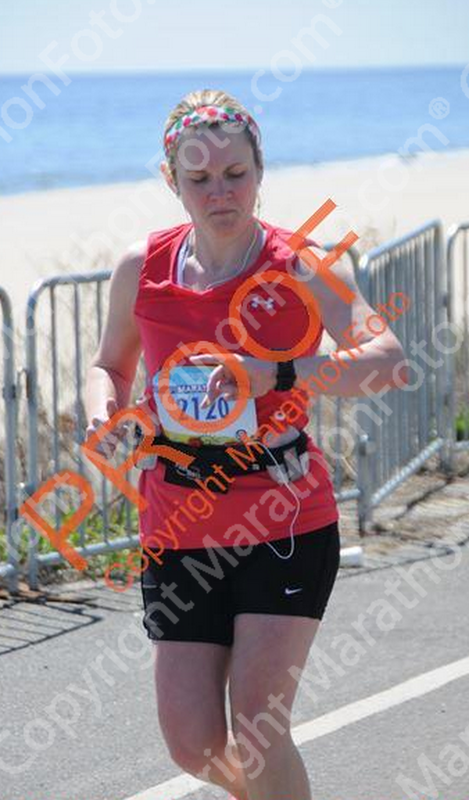 That is not the face of a happy runner. 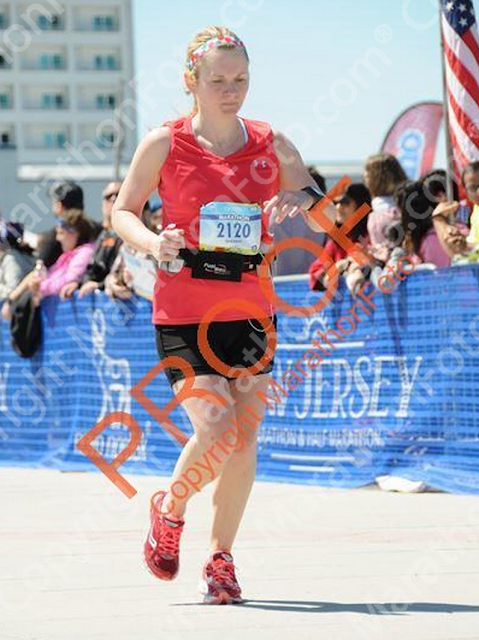 Once I hit the final mile and could see/hear the finish line, I rallied a bit and tried to run as hard and strong and fast as I could. Here are some final pictures of me nearing the finish. Pictures are definitely worth a thousand words. 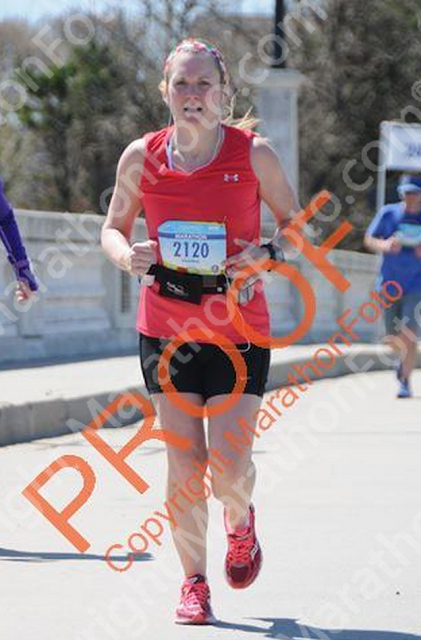 If ever race photos told the story of a race, it is these for sure. I can read the pain, disappointment, resignation and just plain unhappiness on my face. I will forever consider this race my "Tale of Two Cities" Marathon, or more precisely the Tale of Eight Cities Marathon, as the course winds through a bunch of shore towns in the Northern New Jersey beaches (Oceanport, Monmouth Beach, Long Branch, Deal, Allenhurst, Loch Arbour, Asbury Park and Ocean Grove). But geography aside, looking back, I can't help but think that the race was one of contradictions, just like the beginning of one of my favorite books, A Tale of Two Cities. It was the worst of times ... pretty much everything else. It was the age of foolishness ... that I didn't really trust my body and go by the signs it was showing me those last few weeks in training. I started way too fast. It was the epoch of belief ... there was a moment early on when I believed I might actually do it. 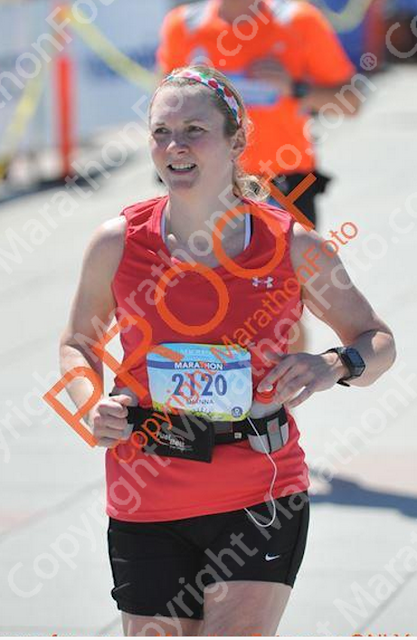 It was the epoch of incredulity ... the moment at mile 24 when I realized it was impossible to run a sub 4:00 marathon. Unless I sprouted wings. Or roller skates. It was the season of Light ... the start and that hopeful anticipation. It was the season of Darkness ... mile 20 when the woman on the side of the road cheerfully said, "you're almost there!" MURDEROUS RAGE NO I AM NOT!!!! It was the spring of hope ... there was a brief shining moment sometime between mile 15 and 20 when I thought I might rally. I might do it. I might ... no. It was the winter of despair ... mile 15. I took my first walk break. I have never had to walk that early in a race. And I looked at my watch, and looked at the mile marker and thought "Goddamn. This is just like labor with a second child. I know what to expect, having been through it before, and I know I have a lot more pain, and a lot more time to go, before this is over." And then I realized that I was comparing running to childbirth. And I wanted to cry. At the end of the day, I just didn't have it. I don't know what happened. Believe you me, I have wracked my brain to figure it out, and I can't. Yes, the flu set me back, but I cannot believe that a week of not running would destroy my fitness after all the hard work that I'd done over the Winter. I do know that on my last two long runs, I finished them completely gassed - my lungs were tired and my legs were tired. The lungs didn't worry me. I know that the lungs take awhile to recover from the flu. But the legs? This wasn't my first rodeo and I knew that my legs should be feeling really strong - and nothing like they were feeling - that close to race day. I think, at the end of the day, I lacked the heart. 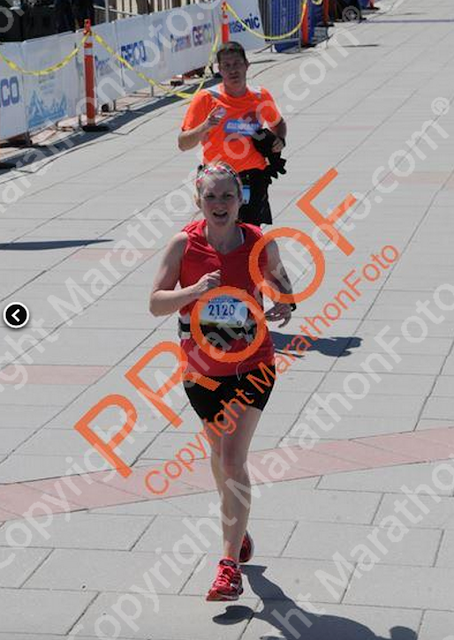 As much as I wanted to convince myself that I wanted to do this race, I wanted to PR, I wanted to run fast, etc. etc. etc., I am not sure my heart really felt that way. And if I've learned anything in sports or in life generally over the past few years, if your heart isn't in it, there's no point. The heart just doesn't work that way. The marathon is two weeks of healing and strengthening - mind, body and soul - away. You've got the legs and the lungs. Now for the heart. She was, of course, spot on right. And while I tried to get my heart into it, the heart doesn't want what it doesn't want. Deep down, I knew I had already BQed. Deep down, I knew my Steamtown time was good enough to get me into Boston. Deep down, my heart just wasn't in it. And I was tired. It's hard to admit that. But I am. I am really tired. Not of running. But of the hamster wheel of races and training that I happily put myself on over the past 3 years. It's hard to admit that I'm tired of racing because I've heard cautionary tales and warnings time and time again about burn out. I didn't, and don't, want to play into that. But in complete and total candor, it is very hard to go from Ironman! BQ! Racking up PRs like they are beads on an abacus! to a string of pretty good, but ultimately disappointing, races that fell short of the times I expected or that I've seen or that I've come to expect over the past few years. So far, 2015 has been that kind of year. It's been frustrating and challenging in so many ways. Rather than continue to be frustrated and feel like training is a chore and I'm spinning my wheels or moving backwards, I'm taking a little break from it and will just swim, just bike, just run and enjoy. 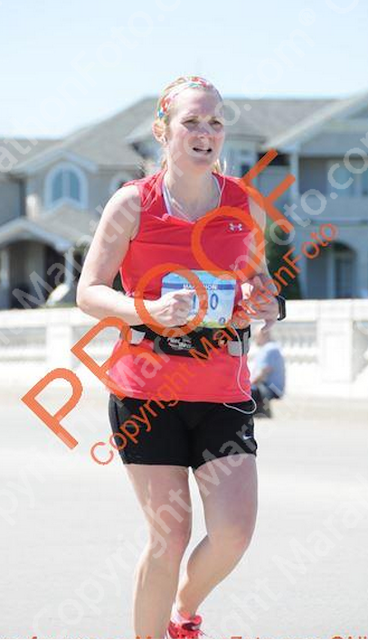 I will completely admit that I wanted to quit this race. Many times. 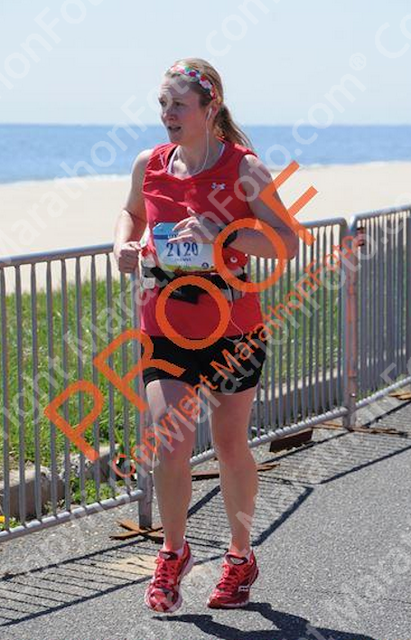 At mile 11, I seriously considered turning left at the split, doing the half marathon and walking away with a decent time. I almost did it. But yelled at myself to do something to myself that was anatomically impossible and went right. Every time I passed a police car on the course, I was so tempted to run over, say "I am quitting. Please take me to the finish line." But I didn't. I kept on going. I learned that while my heart may not have been in that race, I still had guts and grit -- and a lot of them. I learned what it felt like to race on those two things alone. It isn't pretty. It isn't easy. But I did it. I showed myself that I had some serious mettle. 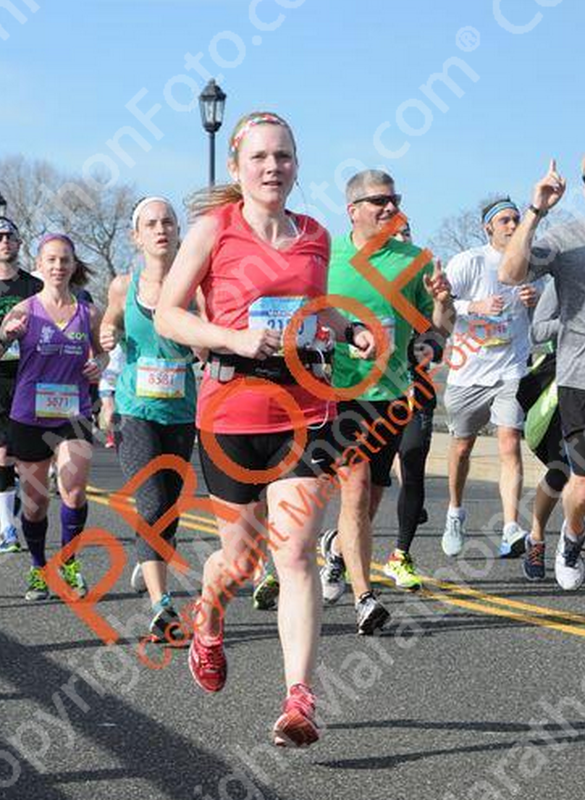 At the end of the race, in that final mile, I went from beating myself up about a crappy, hard fought and disappointing race, to realizing how completely ridiculous I was being. I thought about my cousin who just passed away and my friend Maggie who died a number of years ago, and realized that I was being so selfish, stupid and spoiled. Here I was, on a stunningly beautiful Spring day in a beautiful spot, with the ocean in my sights, finishing my 7th marathon and I was sad and mad because I was not hitting a time that I thought I should hit -- how utterly dumb and myopic. I forced myself to look out into the ocean and soak it all in and be thankful for this amazing life that I get to live and this incredible thing that I did. 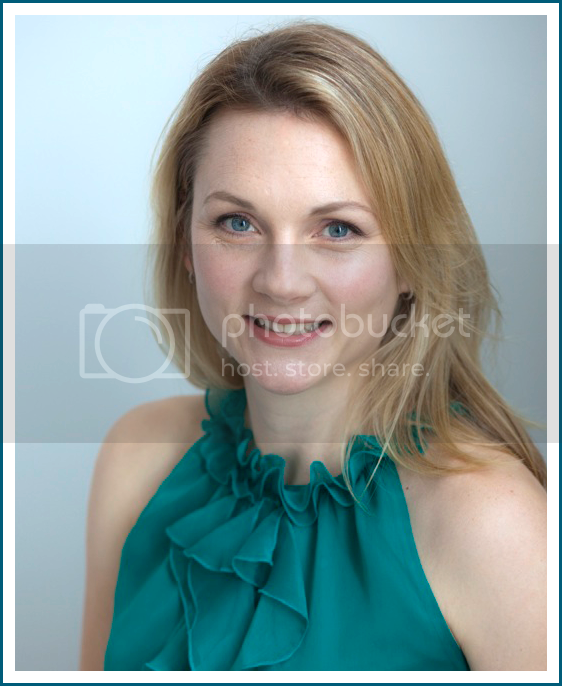 And somehow, the photographer managed to catch that moment. What you cannot see is right after this picture was taken and we crossed the finish line, that first timer ran to the side of the chute to his mother, who was waiting for him. The two hugged and just collapsed into joyful sobs. 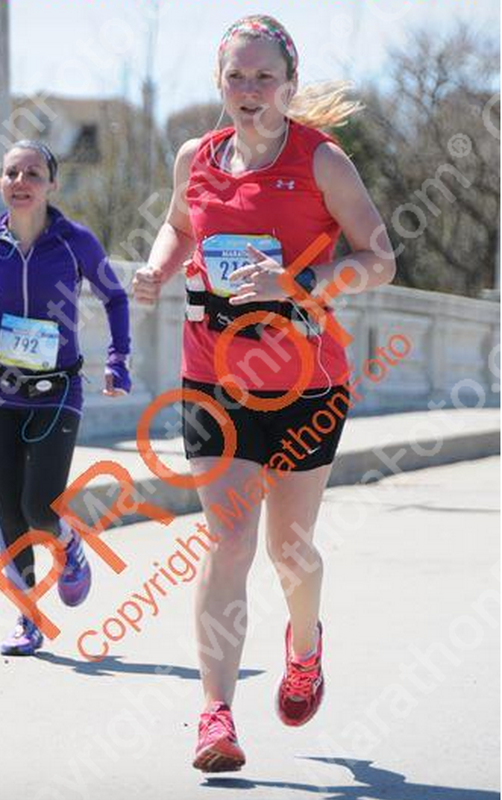 That ... that is the heart and soul of the marathon right there. You can't fake that heart. And I wouldn't ever want to. It was honest, pure and raw emotion. It was pure heart. I'm ready to get mine back into the sport that I love, and seeing that moment at the finish line showed me that I am not there yet. I'll get back there again, but I know I can't force it. 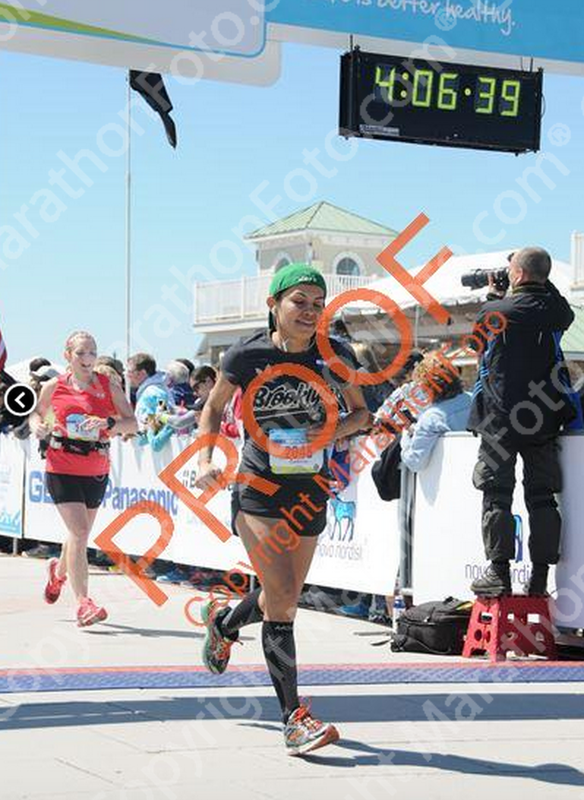 In the meantime, I'll remember that finish line moment that was not my own but which profoundly affected me and reminded me how much I truly love running.